Want to go for the most thrilling joy ride of your life? 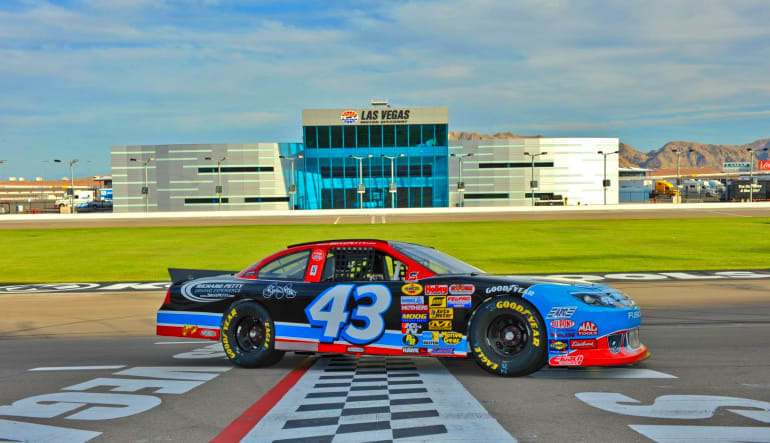 Then hop in the passenger's seat for 3 laps at the Las Vegas Motor Speedway, just 15 miles from the Strip. Start your engines! 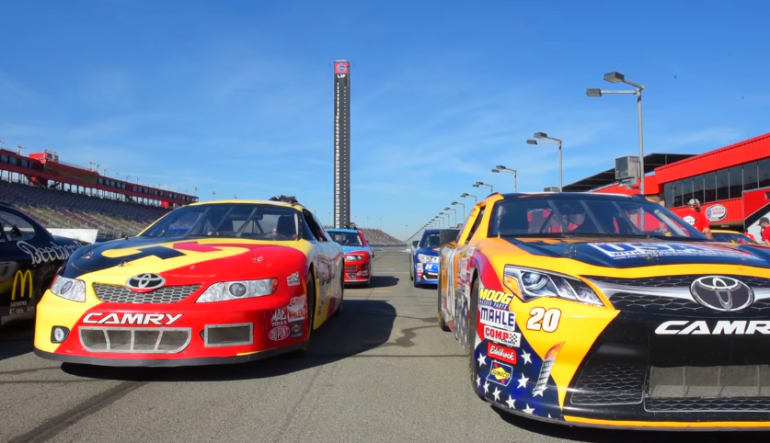 Hop in to the passenger seat as you ride shotgun in a real NASCAR racecar with a pro driver behind the controls. The car you'll ride in has actually been driven by the likes of Dale Jr., Gordon, and Johnson, to name a few. 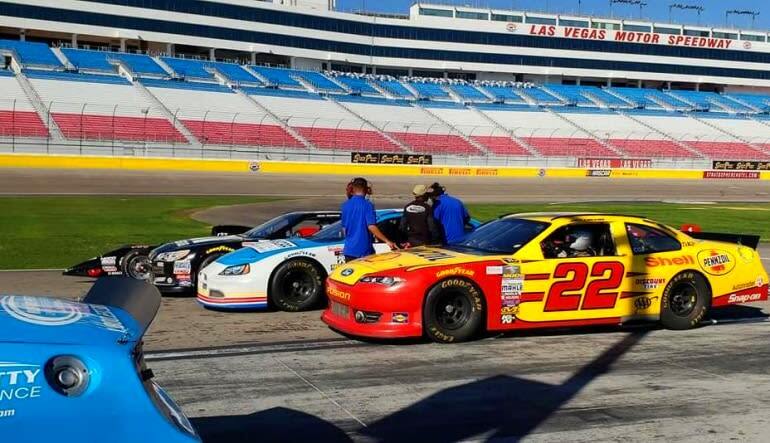 Come out to the Las Vegas Motor Speedway for three hot laps on the track. Feel the power, acceleration, braking and cornering abilities of these fantastic racing cars, while sitting in the passenger seat with a professional racing driver at the wheel. Following a safety briefing you'll buckle into your 5-point harness and bucket seat, before accelerating rapidly out of the pits and you're off! 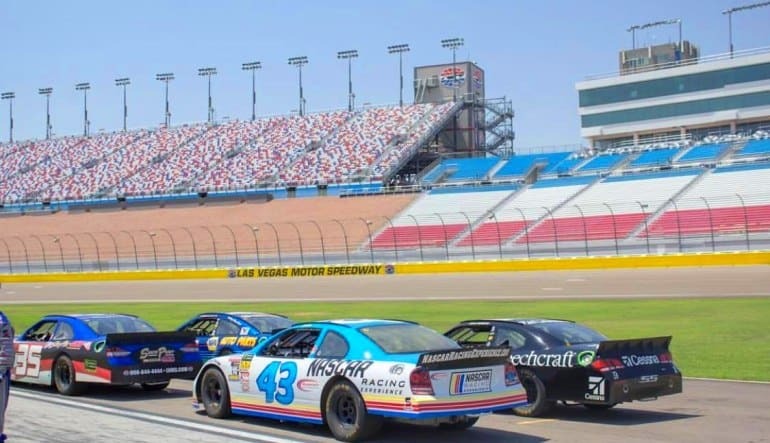 Located just north of Las Vegas, experience 3 fast hot laps of the Las Vegas Motor Speedway, a 1,200-acre complex of multiple tracks for motorsports racing. These cars are the real deal - race-built from the ground up, these are the same cars driven by some of your favorite NASCAR drivers.